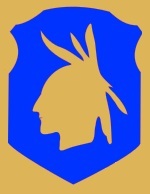 The 98th Infantry Division served in the The Asiatic Pacific Theater of operations; during World War Two. The Division did not serve in combat. The 98th Division served in Hawaii from April 1944 until September 1945, when the Division was moved to Japan for Occupation duty.